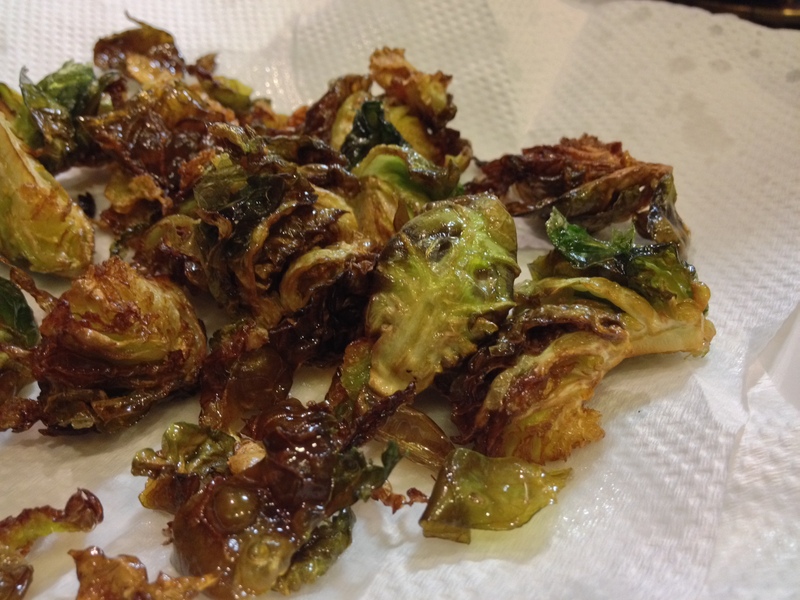 i (jun) still remember my first taste of deep fried brussel sprouts. it was about 4 years ago in san francisco, at this restaurant called spqr, down in the lower pacific heights area. i was addicted at first bite. 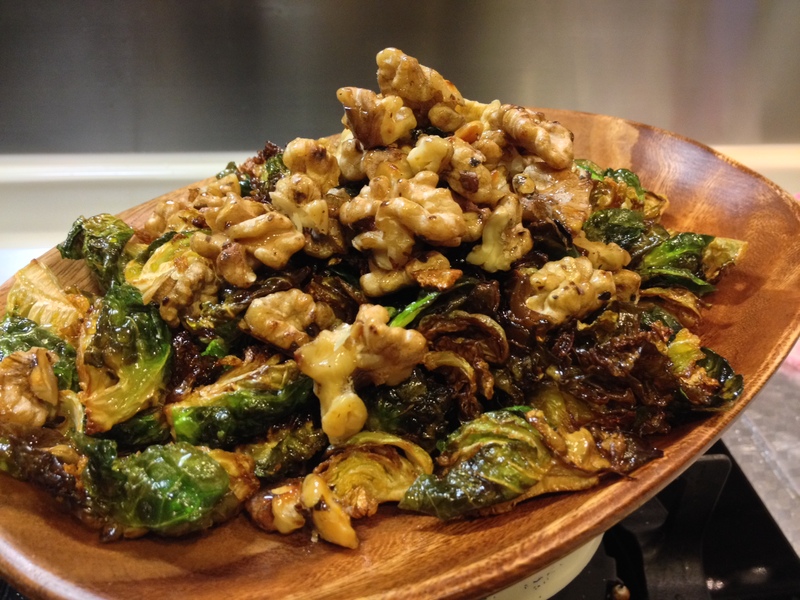 from that point on, every time i saw fried brussel sprouts on the menu, i had to order it. but it never really occurred to me to make it at home. maybe i didn’t want to deal with the smoky splattering oil all over the kitchen. until now, i’m craving for this dish! 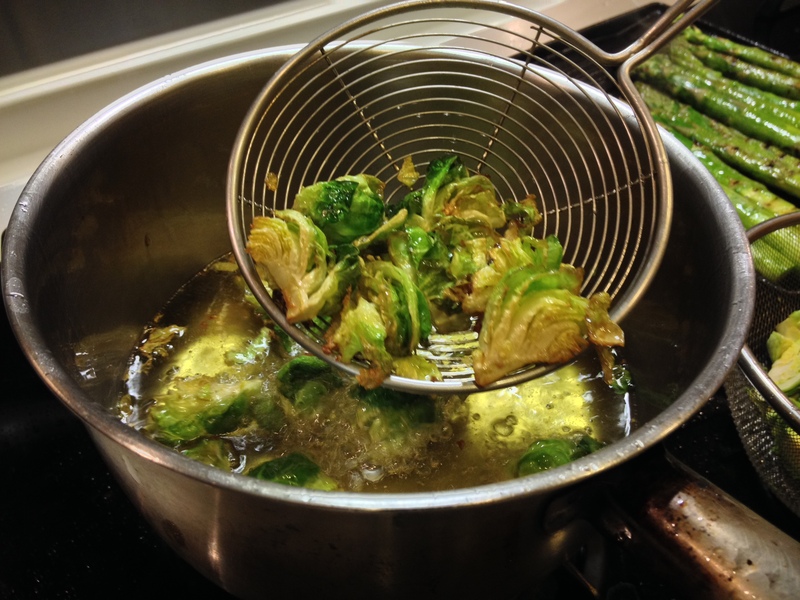 certain vegetables are delicious when deep fried, and brussel sprouts is definitely one of them… we love how the leaves turn golden brown and the texture becomes light and crispy. 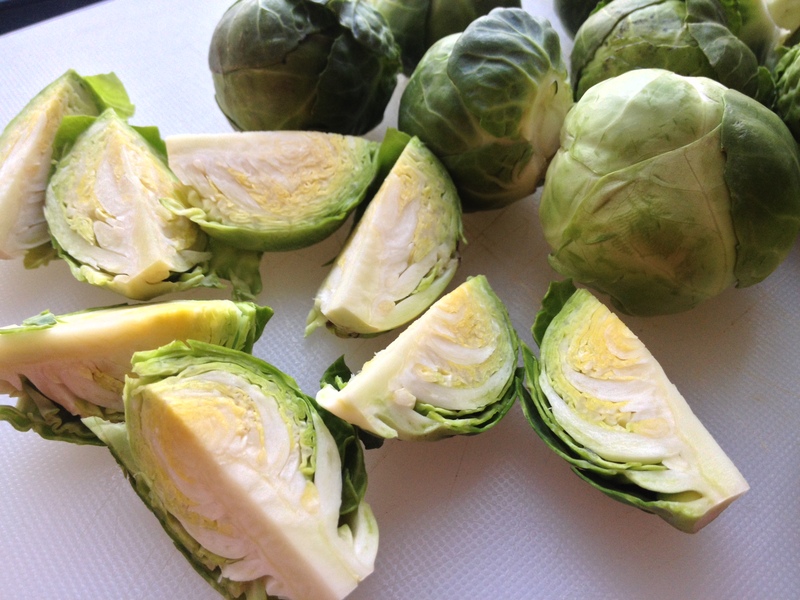 the inherent bitter taste of the brussel sprouts become more pronounced when fried, so if you’re a fan of that flavor, then you gotta throw these bad boys into a pot of hot oil. 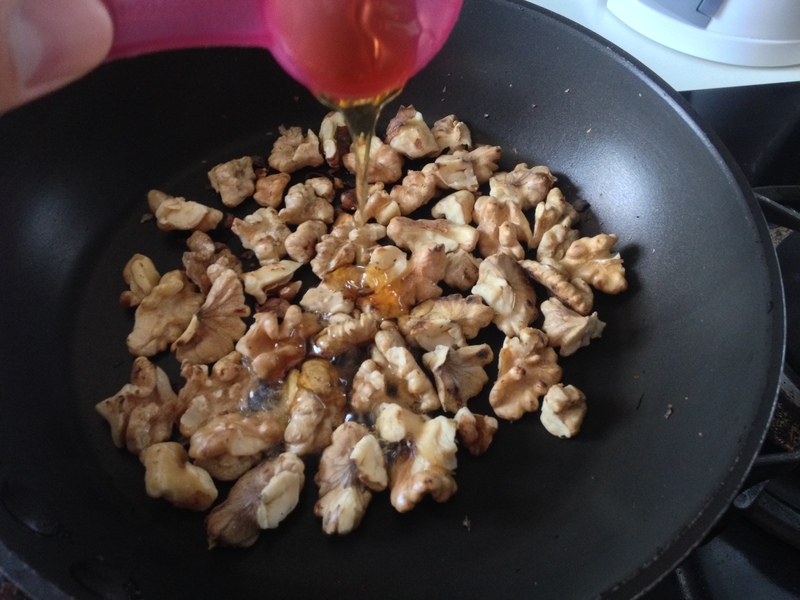 but to counteract and balance that bitter note, we paired it with sweet honeyed walnuts. Any brussel sprout has never been so interesting! I love it! yes margherita! it is totally addictive!